Many consumers are under the impression that a saltwater pool does not use chlorine to keep the pool water sanitized. What they don’t understand is that a saltwater pool uses a salt chlorine generator to produce its own chlorine. The generator is inserted into the pool plumbing near the other pool equipment. Inside the generator unit are metal blades which receive a low voltage current and as the pools saltwater passes over the blades a process called electrolysis occurs. During the process the salt and the water molecules are separated into hydrogen and hypochlorous acid. Hypochlorous acid is the active killing portion of chlorine. In short, a salt water pool with a chlorine generator is simply a system which produces its own chlorine and eliminates the need for chemical chlorine to be added to pool water. A salt water pool actually has a very low concentration of salt. It is so low that your taste buds cannot even detect it. This low salt concentration leaves no reside on your skin or hair and in fact is less harmful to hair and skin than chemical chlorine. Another benefit is that the saltwater generated chlorine has no chlorine or bleach like odor. And finally, the salt generated form of chlorine is considered a higher quality than chemically produced chlorine so it works more efficiently to keep your pool water sanitized. Why Isn’t Every Pool Saltwater? Nothing is perfect and there are some drawbacks to a saltwater pool. The first one that most consumers discover is the cost of the chlorine generator. This unit is often called a salt cell and it has a life expectancy of 3 – 5 years. And that time frame can be shorter in warm climates where the cell is functioning year round. Pool owners don’t want to commit to purchasing a new salt cell ever few years as the unit can cost between $700 and $1,500 depending on the size of the pool and the features of the unit. 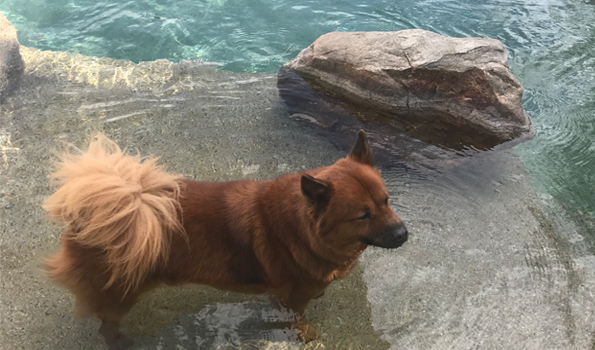 Another drawback is that the owner still needs to work to maintain other aspects of the pool water balance to be sure that the generator can function. So it really does not eliminate the work involved in monitoring the pool water. Finally, salt is corrosive even at the low level that it exists in the saltwater pool. So a saltwater pool needs to be equipped with special salt tolerant equipment such as ladders, light faces and diving boards. In addition to potentially damaging pool equipment, the salt can damage any natural or man-made surfaces that the water comes in contact with such as stone or paver walkways, patios or other hardscape features. In the end, both salt water pools and chlorine pools function in the same manner to sanitize the pool water. A chlorine pool functions using a chemical form of chlorine which releases hypochlorous acid where a salt water pool, and a salt cell, generate the hypochlorous acid directly. The end result is the same ion being used to kill microorganisms by penetrating their cell walls and destroying their enzymes and proteins. What is really important to consider as a pool owner is are you willing to purchase, store and add chemical chlorine to your pool or would you rather purchase a chlorine generating cell to produce the natural hypochlorous acid for you? Almost all pool owners remember the orientation meeting with their pool contractor. There was a brief walkthrough with all of the pool equipment and an explanation of how it all worked together to give you a cool place to hang out in the miserable heat of a Phoenix summer. But let’s be honest, you were as excited as your kids to breeze through the introduction of this new chore and get right down to the first cannonball. This is exactly why many homeowners struggle with water chemistry and balancing from the very beginning of pool ownership. In most cases, the mention of water chemistry gets the same reaction we all had when we learned that we had to sit through high school chemistry. Your eyes glaze over and you begin to count your heartbeats or breathing or how many clouds you see in the sky until the discussion is over. We all hoped that, just like high school chemistry, we would never use this stuff in real life. But if you are a pool owner then you either need to understand pool chemistry or hire a service company that can deal with this challenge for you. The fact is that improperly balanced pool water is not good for your pool equipment, and it is also not good for your body. If your pool water is not correctly balanced then the sanitizer in the chlorine won’t be effective in killing the bacteria and germs that are in all swimming pools. 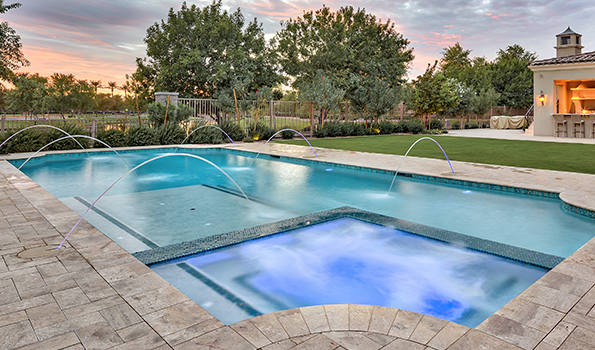 Bacteria such as E.coli, and salmonella could all be lurking in your pool water as could harmful protozoa. And unfortunately, not every contaminated pool is ugly and green or shows any signs of having these harmful contaminants. If you are not checking the balance of your pool regularly, the only way that you might discover an issue is once someone gets sick. If you don’t have the time to devote to careful monitoring, a single call to Bonny at Unique can get your pool ready for professional care from the Unique Pool Service Technicians. Call 480-969-1911 EXT 228 today, and forget about any worries of someone getting sick from being in your pool. We have all been in pools with a very high pH, and you know it because the water causes skin and eye irritation. Higher is not always better, and in the case of pH, too high or too low is a problem. You need to be able to remain in the sweet spot of 7.4 to 7.6 for your pool to be comfortable and safe. In addition, if your pool water pH is too low it will begin to damage several parts of your pool. You could begin to notice plaster etching, spots, and roughness, as well as corrosion on metal and discoloration. A pH that is too high can result in plaster scaling, discoloration, and a noticeable roughness. This is one of the issues that will provide a visible tip when it is out of balance. A calcium level that is too high will cause cloudy water, which is just the beginning of your troubles. If left uncorrected, too much calcium will form scale, which will not only cause rough areas on the pool finish but it will also begin to build up in your piping and in your equipment. Having a pool is a huge benefit in the summer when you live in Phoenix, but if you are not interested in the Chemistry 101 refresher class, then make the smart choice. 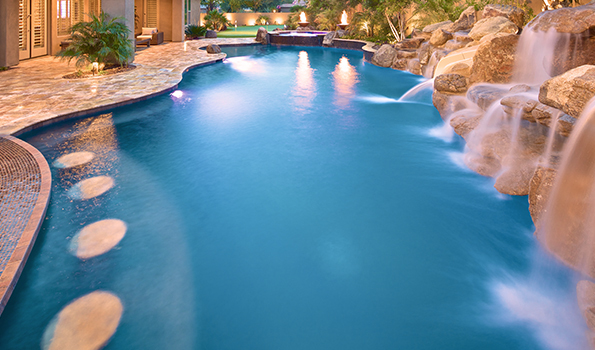 Call 480-969-1911 EXT 228 to schedule your pool service with the Unique Pool and Spa service department. Our service techs will keep your water crystal clear and safe for you and your pool equipment so that all you need to do is remember some sunscreen and a cold drink this summer!